Nothing about Amy and Dan's elopement was a production: it was filled with simple, sincere details and meaning - right down to the 18 guests there. How Amy painted all of the gift tags by hand. How Danny's parents call him baby and match their outfits for special occasions (their color of choice this day was robin egg blue). When we found Amy upstairs in the loft, writing her vows on her phone with tears streaming down her face. Later she re-wrote them on a card... then forgot to bring it to the ceremony. She remembered every line verbatim. The way her and Danny walked down the aisle together. 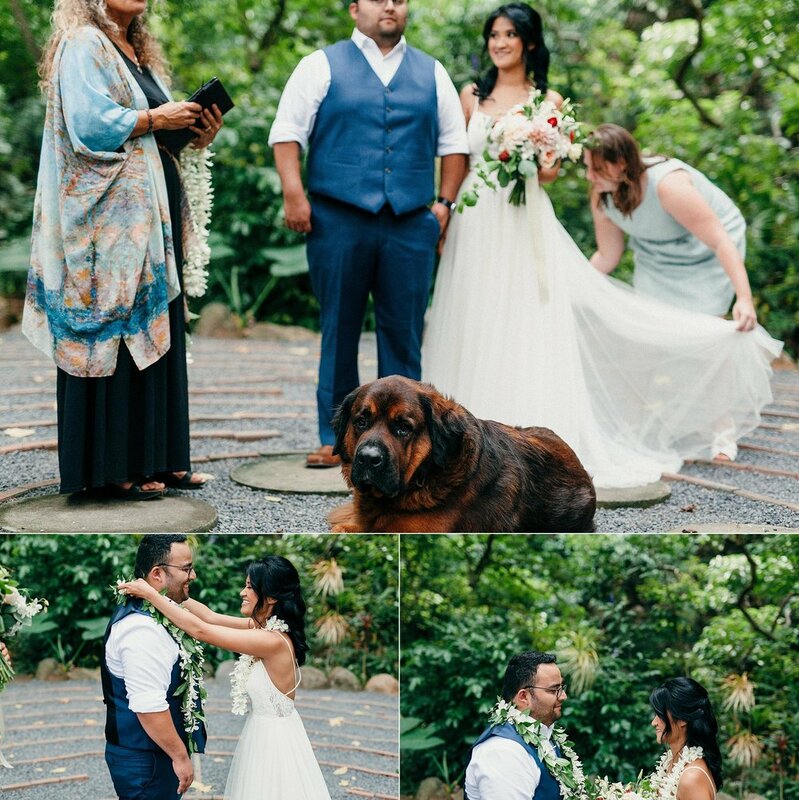 The huge dog that attended the ceremony at the last second and proceeded to lie at their feet (without making a peep) as if he'd known them his whole life. Walking into the house after to find the family had cut down tons of foliage for last minute decorations and lit all kinds of candles. Simple and stunning, just like the rest of the day. That the guys put together a bonfire. And Amy relaxed by it, gown and all. 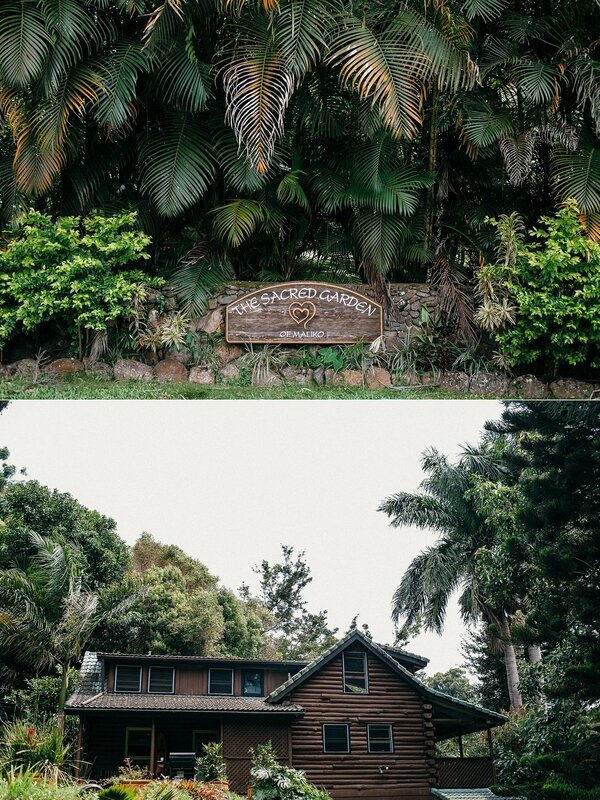 This is Amy & Danny’s small, beautiful wedding day in a jungle in the middle of Maui - they kept it scaled back and focused on the things most important to them: the people. They never wanted to forget the emotions and moments from their elopement so they made photographs a priority. Amy & Danny - we love you guys and are so honored to have told your story!